Fig. 9. 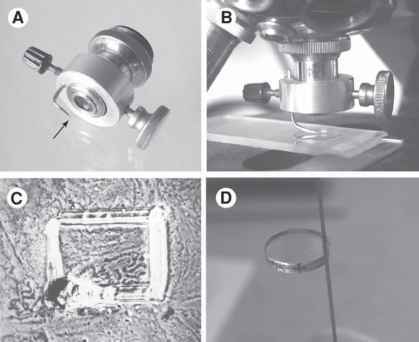 Chromosome marking, sawing and trimming of small blocks from a large one: (A) Objective marker with sharp curved needle (arrow); the needle point is focused in the center of objective with low magnification (10x). (B) Chromosome contoured in Araldite block by the objective marker. (C) General view of the marked place under the microscope (10x). (D) Sawing of small Araldite block for trimming by a fret-saw. analysis. 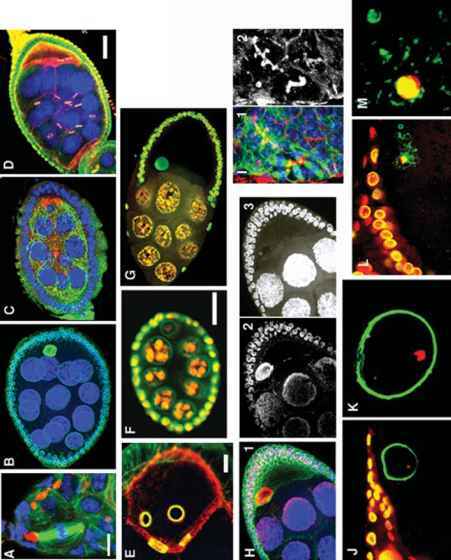 This work was supported by grants from Russian Foundation for Basic Research (02-04-48222), Russian State Program Frontiers in Genetics (2-02), Lavrentiev Grant of Siberian Division of the Russian Academy of Sciences for young scientist and grants of the Ministry of Education of Russian Federation (PD02-1.4-74 and E02-6.0-37).